Geo. 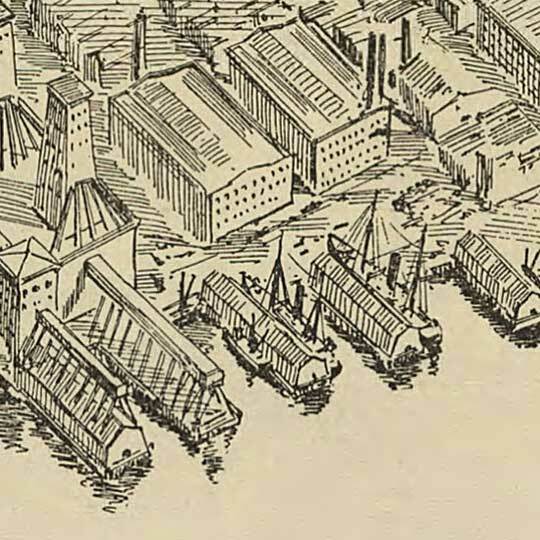 Welch's birdseye map of the borough of Brooklyn in 1897. 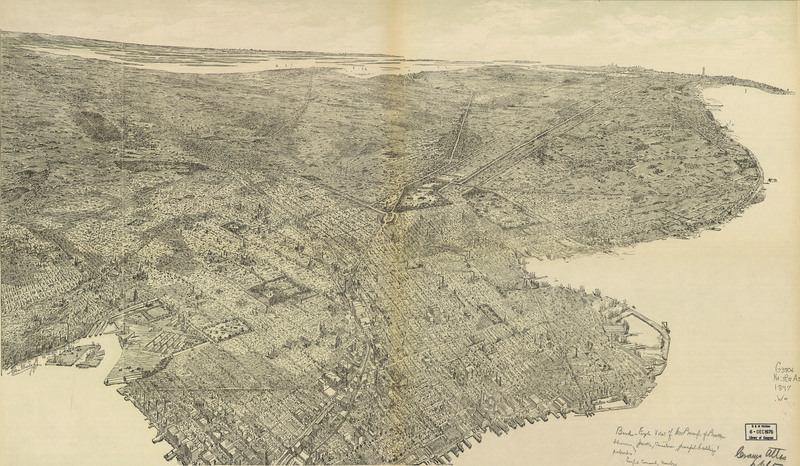 George Welch's birdseye map of Brooklyn [gmap] in 1897. If it was 1897, it was the city, not borough, of Brooklyn. Brooklyn was an independent city until 1898.